At The Centre for Reproductive Medicine, Dr. Janelle Dorsett and her team offer a comprehensive range of fertility treatment options designed to give hopeful patients their best possible chances of achieving successful pregnancy. Among the most innovative and promising of these options is frozen embryo transfer. The frozen embryo transfer technique is a variation of traditional in vitro fertilization, or IVF. During traditional IVF, embryos are created in a lab and then immediately transferred to a woman’s uterus. Most women simultaneously undergo induction of ovulation to improve their chances of successful conception. 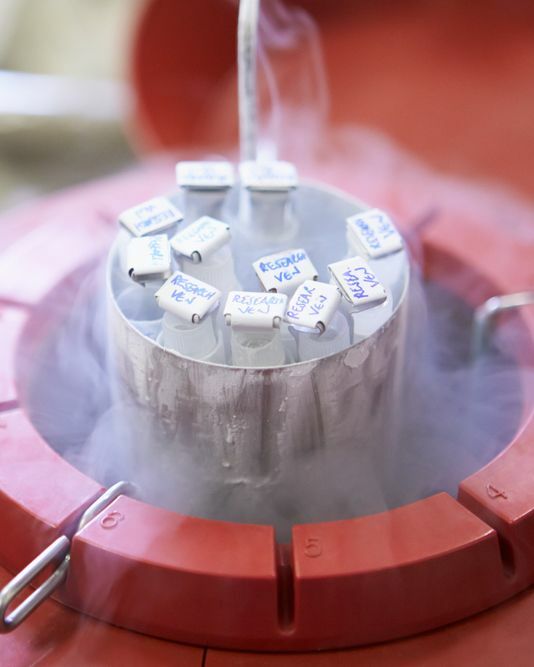 However, with frozen embryo transfer, the embryos created in the lab are cryopreserved through a flash freezing process that prevents crystallization from occurring. The frozen embryos can then be thawed and placed in the woman’s uterus when she is naturally ovulating, bypassing the need for induced ovulation. While there was a time when fresh embryo transfer was preferred by a considerable margin over frozen embryo transfer, many professionals are beginning to embrace the advantages of frozen embryo transfer, including Dr. Dorsett. Indeed, Dr. Dorsett is pleased to discuss the benefits of frozen embryo transfer during consultations at her Lubbock, TX fertility center. If you’d like to learn more about these benefits, please schedule your initial consultation at The Centre for Reproductive Medicine today. What Are the Benefits of Frozen Embryo Transfer? It allows women to delay conception: A study conducted by the Society for Assisted Reproductive Technology in 2013 found that the success rate of IVF using the frozen embryo transfer method had more to do with the woman’s age when the embryos were frozen than the age when they were transferred to her uterus. Therefore, a woman at the age of 36 could theoretically have odds of successful conception similar to a 28-year-old woman if she freezes the embryos when she’s 28. On the other hand, that same patient would have significantly lower odds of successful conception if she underwent fresh embryo transfer. There is less stress at the time of embryo transfer: A woman will not be coming straight from the stress of worrying about the quality of her eggs or viability of the embryos during the embryo transfer stage. The reduced stress could help to improve the chances of successful conception. Fewer medications are necessary: A woman will still have to take some fertility medications to prepare for embryo transfer, but these medications are far less powerful, with far less potentially impactful side effects, than the ovulation induction medications that frozen embryo transfer makes unnecessary. Patients with temporary infertility factors can postpone attempts at conceiving: For example, patients who are undergoing treatments for medical conditions that could affect their fertility can wait until they are no longer undergoing these treatments to attempt conception. To learn more about the benefits of frozen embryo transfer, please contact The Centre for Reproductive Medicine today.